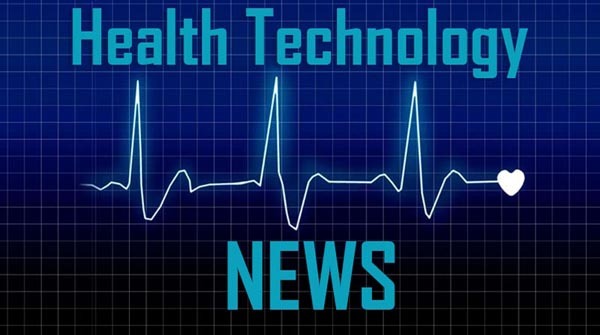 SYDNEY and LINKÖPING, Sweden, April 9, 2019 /PRNewswire/ — Medical imaging IT and cybersecurity company Sectra (STO: SECT B) has signed a 13-year contract with NSW Health in Australia for an enterprise radiology imaging solution across Australia’s largest public health system. It will provide 11 NSW Health organizations with a common platform and the ability to seamlessly share images and information across departments and locations, resulting in better patient outcomes. “We are pleased to confirm that we have entered into an agreement with Sectra to provide 11 Local Health Districts and specialty networks across NSW Health with a new, state-of-the-art digital capability on an ‘as a service’ basis. The enterprise radiology imaging service comprises a common platform for handling all image information, which allows efficient collaboration around medical images and information across the multiple clinical teams and health organizations,” said Dr Zoran Bolevich, eHealth NSW Chief Executive and NSW Health Chief Information Officer. The platform will closely integrate with other core clinical systems, including the electronic medical record, patient administration systems and enterprise imaging repository. The ultimate aim is to provide secure, easy and immediate access to medical imaging information across Australia’s most populous state, allowing clinicians to make timely decisions about patient care. The platform will be implemented and used across nine local health districts, the Sydney Children’s Hospital Network and NSW Health Pathology’s Forensic and Analytical Science Service. Together, they manage a joint volume of more than 1.8 million imaging exams per year. Approximately one billion historical image links are being migrated to the new system for quick and easy access to prior images, supporting improved patient care. “This agreement represents a major breakthrough for Sectra in the Australian market with our enterprise imaging solution, recognised for high customer satisfaction around the globe. For many years, we have been committed to providing the Australian market with comprehensive breast imaging systems. With this contract, and together with NSW Health, we will work to bring more value for patients by consolidating imaging needs, improving healthcare diagnostics and opening doors for integrated diagnostics and new technologies such as AI,” says Bart Thielen, President of Sectra Australia and New Zealand. Sectra was selected as the preferred vendor in May 2018. The contract was signed in April 2019, following completion of a proof of concept project and finalisation of contract terms and conditions. In addition to the Sectra software, the contract includes third-party products and services, implementation and ongoing support of the solution, which will be provided on an ‘as a service’ basis. The total order value amounts to AUD 85 million (corresponding to approx. EUR 53 million) for the 13-year contract. The revenue from the contract will be spread out over the period, with a gradual ramp up for the first few years. Sectras enterprise radiology imaging solution, as purchased by NSW Health, is a key component of Sectra’s enterprise imaging solution and allow consolidation of image handling, while ensuring clinical workflow efficiency. The enterprise imaging solution is modular and supports the most image-intense departments—radiology, pathology, cardiology and orthopaedics. Being built on the same technical platform, customers can easily extend a departmental solution to create a comprehensive VNA and enterprise image management solution without major investments or the replacement of existing components. Read more about Sectra and why Sectra PACS is “Best in KLAS” for a sixth consecutive year at http://www.sectra.com/medical/.